Have a go at making your own glass lantern! 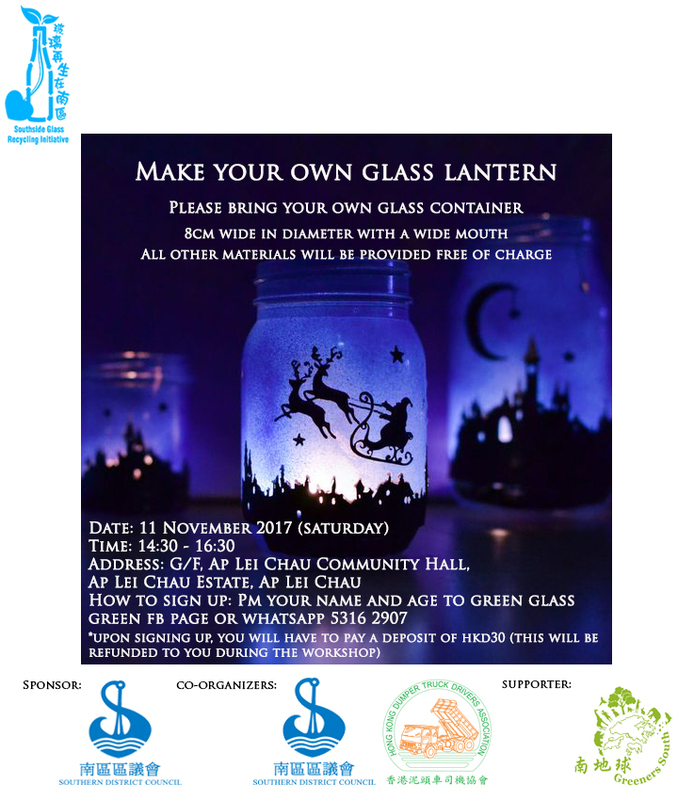 On November 11th, 2017 (Saturday), we will be holding a DIY glass lantern workshop at Ap Lei Chau Community Hall. All you need to bring is yourself and a glass container – we will provide everything else. If you’re interested in taking part, please message our FB page your name and age, or WhatsApp us at 5316 2907.